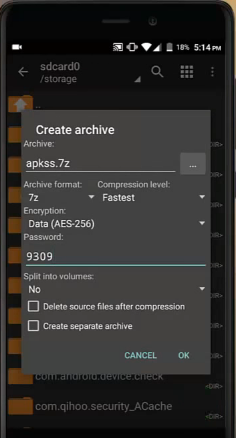 ZArchiver APK is an advanced archive management app for Android devices like Smartphones, Tablets, etc. 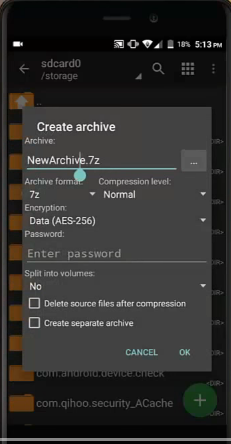 You can compress and decompress the files by using ZArchiver APP. Also, protect your files by creating passwords to the folders. Without the need of a computer also, you can archive folders directly on your Android mobile. If you want this apk file on your PC/Computer/Laptop, then you need Bluestacks Software on your device, because Bluestacks application gives a mobile environment to your device. 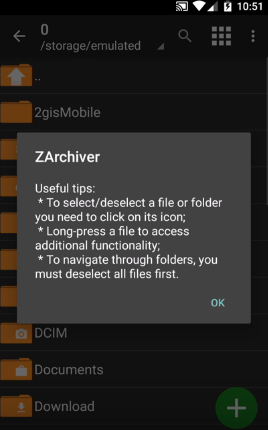 Download ZArchiver 0.9.1 APK latest version file on your Android devices by the given link on this page. How to Download ZArchiver APK 0.9.1? Download ZArchiver Pro APK file on your Android device using the link in the below section. Now go to the APK file location that is File Manager —> SD Card —> Downloads. Click on that file, and it asks “Install”. Start Installation process by clicking on ‘Install’ button. Now go to “Apps” and see the ZArchiver App Icon. If it is not there, then the ZArchiver apk file is not installed properly. Then again start installation properly. Now you will see the app Installed successfully message. 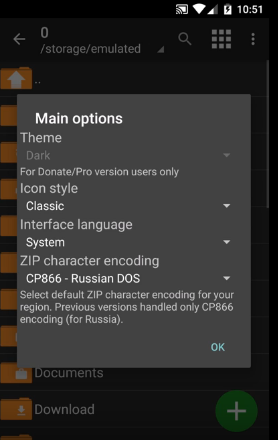 How to Extract files using ZArchiver Pro APK on Android Device? After ZArchiver Pro APK download on your device successfully then click on the ZArchiver Icon to open the app. You will see “Main options” message with ‘OK’ button appear on the screen. Next, you will see “ZArchiver” message with “OK” option. Click on “OK” button. Now choose you the require zip file and click on it. Click on “Extract here” option. Your .zip file will be extracted and open it check your files. 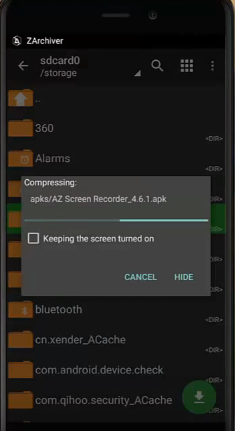 How to Compress files using ZArchiver APP on Android Devices? 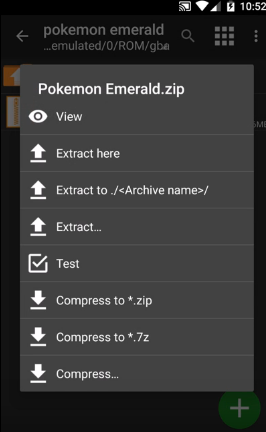 In the same way, you can compress the file with .zip/.7z format by using this APK ZArchiver. Next, you will see “ZArchiver” message with “Ok” option and Click on it. Now Click on Plus symbol “+” option, you will see “Create archive” message which has Archive format, Compress level and Password fields. Type your folder name in the Archive field. Example “app.7z”. But you need not enter ‘.7z’. Because it will appear default. You can change it by using Archive format. Choose Archive format like zip, rar, 7z, etc. Next select compress level like Fastest, Fast, Normal, Maximum, Ultra, No compression. You can also put a password to your archive folder. After that Click on “OK” button. Now choose files to an archive. ZArchiver starts compressing the files. Scroll down the cursor on the screen. At last, you will see your folder zip format. Are you looking for archive management app for your Android device? Then you are at the right place. Here we suggest you try ZArchiver APK for Android Phones and Tablets. ZArchiver is a free and useful application to compress and decompress the files on mobile devices. It supports many archiving formats like .zip, .7z, bzip2 (bz2), tar, XZ, .rar, gzip (gz). And it decompresses the following archive forms like rar, zip, 7z, XZ, tat, iso, arj, cab, izh, lha, lzma, xar, rpm, cpio, cramfs, img, wim, ecm, arc, tbs, tgz, xar, chm, dmg. With this advanced app, you can manage archives on your Android device. It has many features and one of the greatest features of this app is creating passwords and generating encryption code while doing archiving. So, users who want to archive manager app can use this app. Here we are giving a direct download link to ZArchiver for Android devices. Download ZArchiver for PC (0.9.1) and Install on your Windows 10/8/7/Vista/ XP/ Mac computer. ZArchiver APK is an awesome application for all the Android users. IF you download ZArchiver you can perform Archive management functions such as extra, Compress, Decompress and View Archive. This app is supported by all the Android smartphones, tablets and also for personal computers/ Laptops. This page is exclusive for ZArchiver on PC. Have a glance at this entire page to know How to use ZArchiver APK on PC using the other Android emulators like Bluestacks, KOPLAYER. There are many ways for Installing this app on PC but, we have given the best, easy and efficient ways of Installing in this article. ZArchiver is a powerful app to manage files on Android/ iOS/ PC with user Interface. If you download ZArchier on PC you can create/ compress/ extract various types of files like ZIP, GZIP, RAR, ISO, TAR etc. ZArchiver on the computer is an amazing app and it can be installed on Android smartphones from the ZArchiver official site/play store directly. But, coming to the ZArchiver on Windows PC you need a third party software. So, we have provided the complete info about the ZArchiver APK download on PC below. Moreover, requirements for ZArchiver APK download on PC and also features are available on this page. Supports Multithreading and useful for the multicore processor. You can use special symbols for file names. The multi-select mode is not necessary. On the left side of the Filename, there will be an icon to select the following. Before you start Installing this app make sure that you will have the following requirements in your computer/ PC/ Laptop. Microsoft Windows Operating System 7/8/10/ 8.1 (32bit/64bit). UTF-8/UTF-16 Supporting for all files. MAC Operating System X v10.6 or v10.7. It is not possible to download this app on PC without using any third party software or Android Emulator. The Android emulators are nothing but the supporting software’s to install Zarchiver 0.9.1. These emulators create a mobile environment on PC. There are 2 such best software namely KOPLAYER and Bluestacks. So, there are 2 ways of downloading this app. We have clearly explained the step by step process of both here. Therefore, you can observe the following and choose the comfortable process. How To Install ZArchiver On PC Using BlueStacks? First of all, properly download & Install blue stacks on your PC properly. After successful Installation, you need to start the Bluestack emulator and search for “ZArchiver”. Then, the play store opens. Log into the Play store using the Gmail id. Again, you need to search on Google Play store for Zarchiver. Now, you have to Download ZArchiver APK and install on your PC. Just open the blue stacks and click on “Zarchiver” icon. Finally, the app starts on your PC. Download KOPLAYER Android Emulator on your PC. Run and Install Android Emulator carefully. From the KOPLAYER log into the google play store. Now, search for the “ZArchiver for PC“. Install APK file and start it. Finally, the ZArchiver for PC free download is done. How To Download ZArchiver for Laptop? Download a proper Android emulator on your Laptop. If your laptop has already an android emulator you can skip this step. If there is no Android emulator you can download Android Emulator Bluestacks for PC. After the completion of the Installation, you can search for ZArchiver. 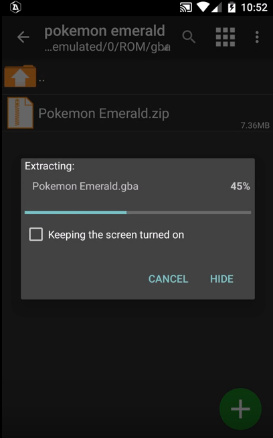 Download ZArchiver APK file on the Blustacks Emulator. Finally, the ZArchiver icon will appear on your Bluestacks screen. Then, you can play the App on your Laptop. Installation is completed but you don’t know How to use ZArchiver Windows? Then, dont worry just Hit on the link below to know How To Use ZArchiver App. We hope that you can easily Download ZArchiver for PC/ ZArchiver pro APK using the simple methods on this page. If you have any queries just place a comment in the comment box. We will give you the solution for your query as early as possible. Moreover, will update this page if there are any ZArchiver latest versions.